I did all what you see on the site by myself. It is for free. I’m glad a few people still appreciate my work but I have serious doubts continuing in the future. Blogs which are full of misinformation and lies will last with great income and traffic, unlike mine. I helped out hundreds of people on Reddit personally too but I think it had no use for the long run. I consulted the I-Ching for many weeks, it gave me the answer that I was incarnated here on Earth into the wrong realm. Let’s say it was definitely a mix with naivety and foolish curiosity that ended me here. The answers of the I-Ching quiz was nothing new, because I already had the reasons why with the age of 5 or so. There are no Starseeds, there are only Earth-born and accidental incarnations. No soul that doesn’t have a prior connection to Earth and in the least those that had one incarnation on Earth is willing by contract or voluntary to give a damn about this rotten planet and even less so don’t care about the ruling elite. If Starseeds are that powerful, we would see changes to the better but in fact everything is going down the pit these days – which…. well, see above. If anyone is reading this, let me try to give some comfort to those of you that see the world without pink sunglasses. Every one of you prior to incarnating on this planet knows if you are a soul ancestor from Earth or not. There is only black or white, nothing in between. You either are, or not. Those that are not Earthly seeds are not from Earth and are souls of peace that enter the realm of utter destruction. At the time of incarnation you are fresh meat, nothing more. Get the hell out of there. Everyone you see that does more than you do, rest assured, that entity (“friend” or foe) is from Earth. These entities are not of your descent. Keep away from them because they sooner or later drain you out. I don’t need to fill in who these are, you know them yourself and what they do in their power to make your life as miserable as possible. You are not on Earth as a form of punishment. It most likely was an accident out of curiosity. Of course there are special cases when someone needs to incarnate on Earth to retrieve information what has happened to a close friend on Earth. From that you already can see that non-Earthers are very rare to find on Earth. Chances are you are not a spiritual being from a higher realm and you are in fact elite-fodder. But it doesn’t have to end here. You can choose if you want to give it another shot to feed your greed and get that millionaire lifestyle next time around or realise that life is not about how many coins you have underneath the pillow, or that life is not about how good you can sling a gun. That is the real endless nasty incarnation cycle, those that cannot get their mouth full enough and constantly talk about how rich they should be compared to their current lifestyle. I estimate that there are less than half a percent of souls that descent from other realms than Earthly ones. 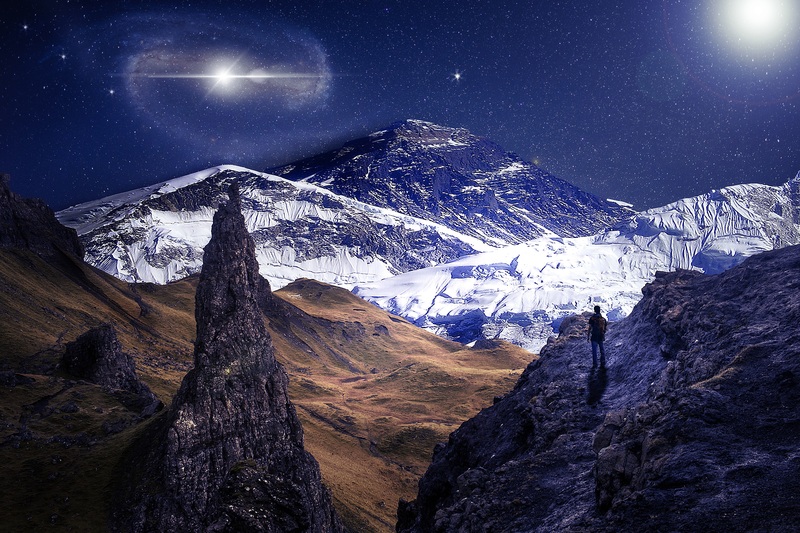 Even Earthers can get up to other realms and it doesn’t have to be hard, but you have to disconnect from Earth and human consciousness as your highest priority – otherwise you will not ascend.